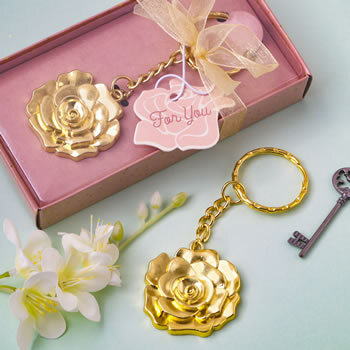 Ordered this cute key chain as a gift for attendees for our upcoming style show fund raiser. Looks nice and packaged well. The Keychains are awesome well made and look like a good quality keychain they come so nicely gifted which makes it so finished. I did order tags which are custom from this company love them as well to make it easier I just cut off the for you rose and replace it with the tags I chose with a tiny slit and a jot of hot glue. they do come with tag string but I didn't want to spend time doing it so this was a great way to get it done fast. I would def. purchase from this company the pricing was great and I did my research.